If you found the Mercedes ML 63 AMG Inferno quite hot, here’s its polar opposite, which is oozing with coolness. 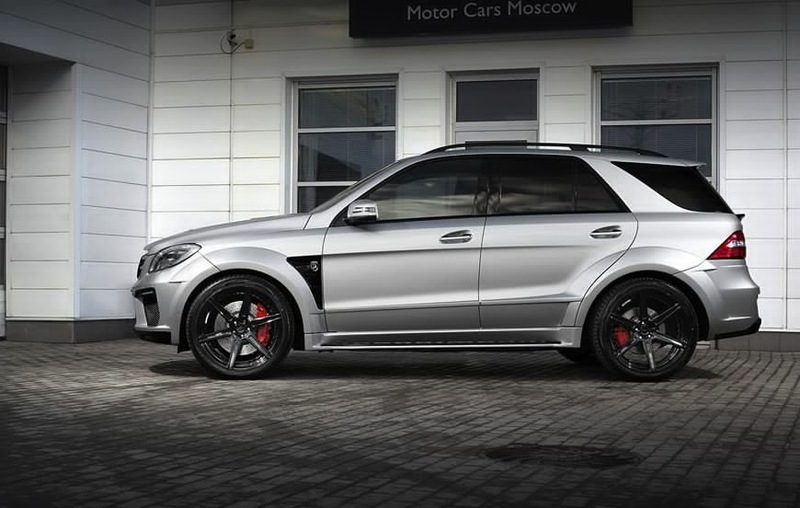 From the same tuner that brought to us Inferno comes the Mercedes ML 63 AMG Silver Arrow. Obviously, the SUV was called “Silver Arrow” because of its finish. 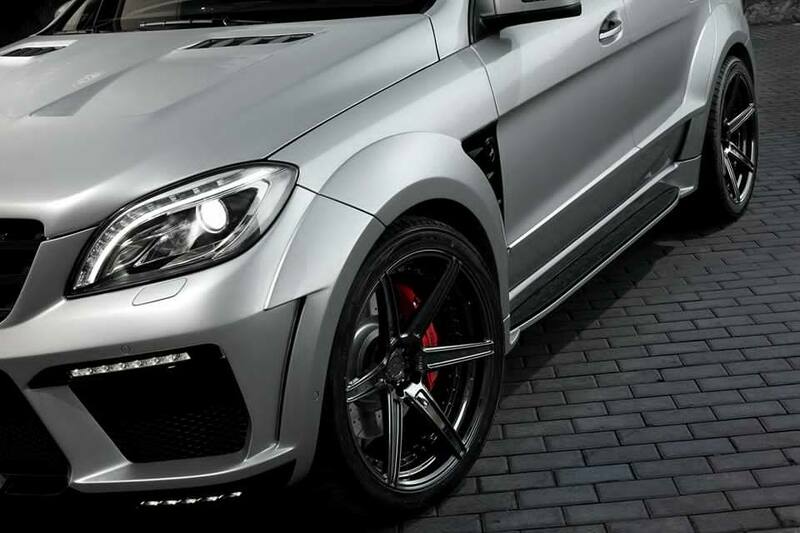 The name of the vehicle also pays homage to the Formula One racing cars of Mercedes. 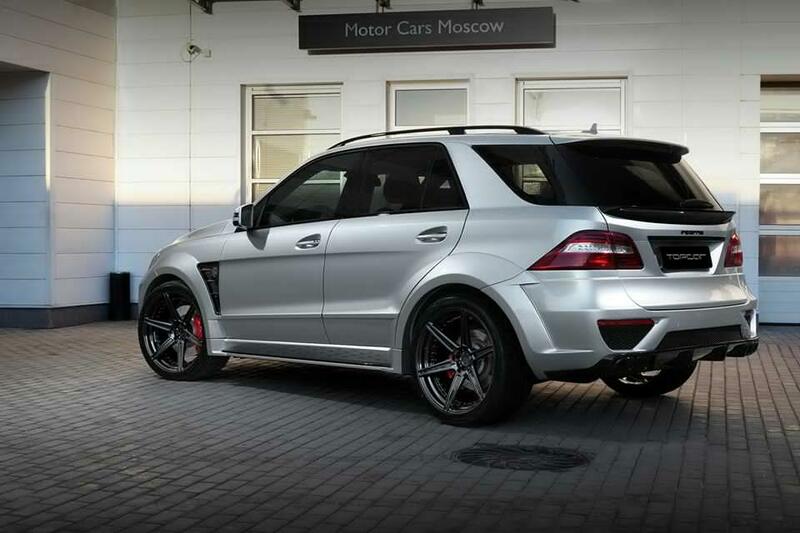 It could be noticed that the Mercedes ML 63 AMG Silver Arrow is very much similar to the Inferno. That’s because the tuner used most of the Inferno’s styling elements with its new M-Class project. 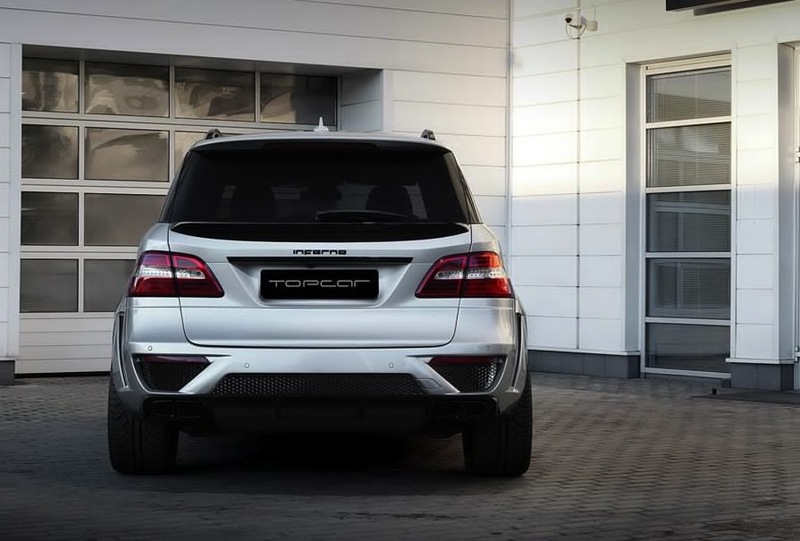 Using the Inferno kit, TopCar imbued the Mercedes ML 63 AMG with new bumpers, air dams, rear wing, side skirts, diffuser, fenders, and air intakes. The bonnet was redesigned for a sportier appeal too. The tuner offers optional add-ons from the Inferno package as well that includes a new DRL system, wheel spacers, tinted windows, deep dish alloy wheels, and super sport exhaust system. The aero components can also come in visible carbon fiber. 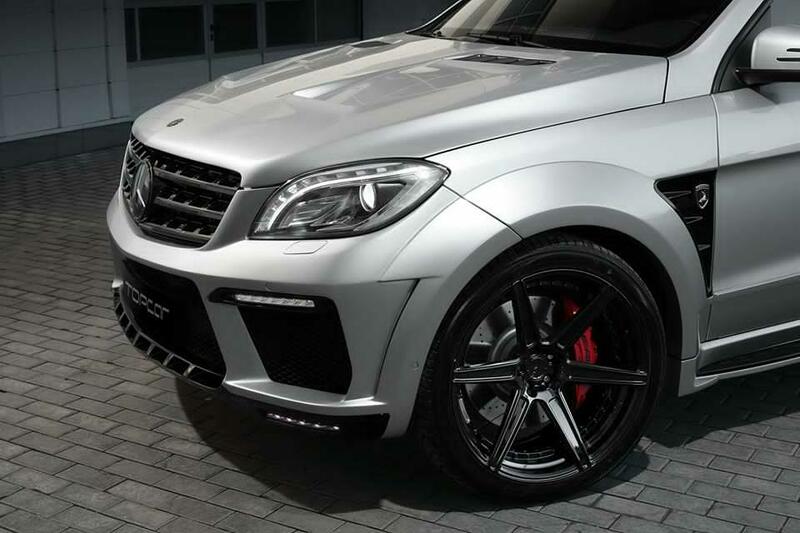 After that, TopCar installed a special set of ADV1 wheels exclusive for the ML 63 AMG Silver Arrow package. It is estimated that the body kit alone will set you back around €15,000. There was no mention of any type of engine tuning for the SUV. 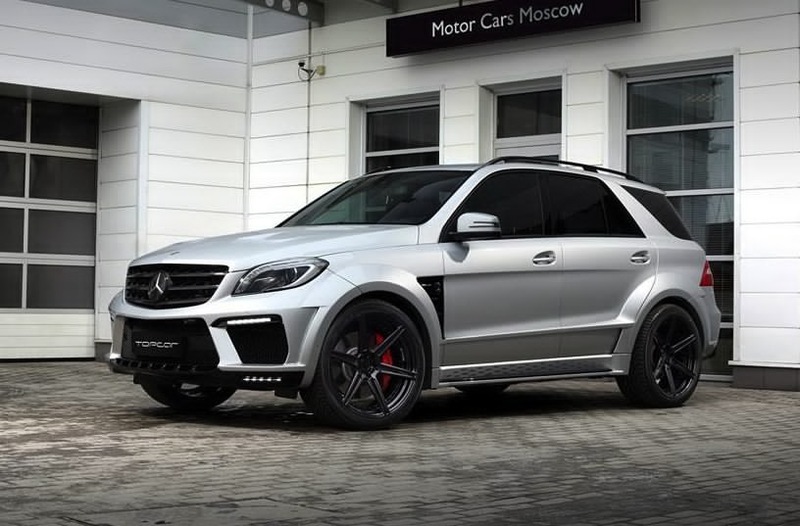 However, it should be noted that the unadulterated Mercedes ML 63 AMG already possesses 386 kW and 700 Nm output from its 5.5-liter biturbo V8 engine. Those figures alone enable the auto to accelerate from zero to 100 km/h in only 4.8 seconds.